3. Banks must mark all their real estate to market weekly as defined by “last sales of nearby properties” adjusted for square footage and other quantifiable measures (i.e. like Zillow.com). If a bank fraudulently originated a mortgage and the buyer misrepresented material facts on the mortgage documents, then both parties lose all claim to the note and the underlying asset, the house, which reverts to the FDIC for liquidation, with the proceeds going towards creditors’ claims against the bank. You know what this is, of course: a return to trustworthy, transparent accounting. 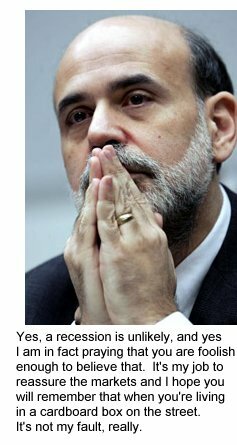 And you know what the consequences would be, too: all five “too big to fail” banks would instantly be declared insolvent, and most of the other top-25 big banks would also be closed and liquidated. At least $3 trillion in impaired residential mortgage debt would be written off, maybe more, and $1 trillion in impaired commercial real estate would also be written down. Derivative losses are unknown, but let’s estimate it’s at least $1 trillion and maybe much more. If $5.8 trillion of fantasy “value” is wiped off the nation’s books, that’s only a 10% reduction in net household and non-profit assets, which total $58 trillion. Even an $11 trillion hit would only knock off 20%. If that’s reality, if that’s what the assets are really worth in the real world, then let’s get it over with. Once we’ve restored truthful accounting and stopped living a grand series of debilitating lies, then the path will finally be clear for renewed growth. 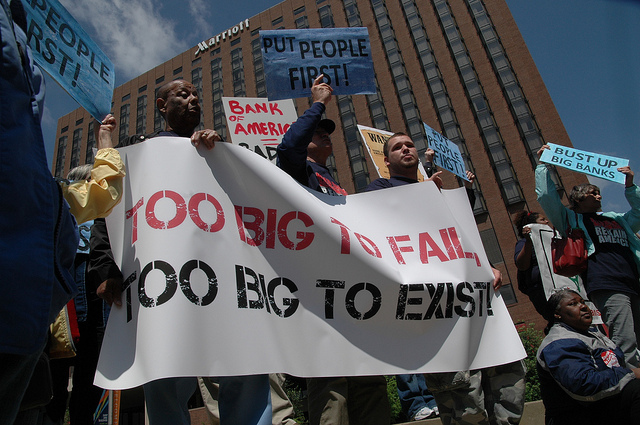 The net result would be the destruction of the political power of the “too big to fail” banks, the clearing of the nation’s bloated, diseased real estate market, and the restoration of trust in institutions which have been completely discredited. What’s the downside to such a simple action plan? Oh boo-hoo, the craven politicos would lose their key campaign contributors. On the plus side, the politicos could finally wipe that brown stuff off their noses.